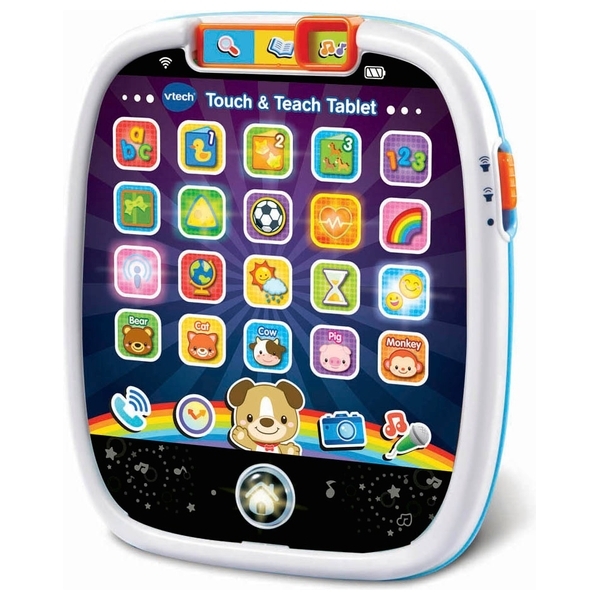 Your little one will have a tablet of their very own with the Touch & Teach Tablet by VTech! Take virtual pictures, make pretend phone calls and check the time! Press the 25 pretend light up app buttons to explore, discover and learn numbers, shapes, animals, colours, letters and more. Take virtual pictures, make pretend phone calls and check the time! Features 3 modes of play, light up glowing home button and includes 3 sing along songs and 20 melodies.